This review is about item#34726991. We purchased for exchange of mission bearing. There is no inferiority compared with the genuine one. Even after replacement It can be used without any noise without problems. This review is about item#34726946. The bearings in the address V100 gearbox were wrecked, so I purchased and replaced them. Although it is less than half price of pure, it can be used without a problem. I think that I can use it for several years if I only manage gear oil. This review is about item#34726955. I thought that the feeling of NTN Bearing in the sky was decided to be good and used it. There will also be durability. This review is about item#34726973. This review is about item#34727016. 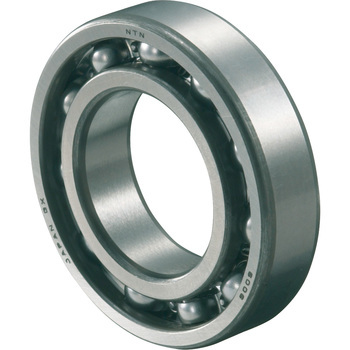 Super Jog Z used for drive system bearing exchange. It is a product of a reliable domestic manufacturer and is safe and secure. V100 crank ,,, I can exchange cheaper than genuine products Good I hope there is also a crank oil seal in the set! sj 30 Jimny 's transfer is also 30 years. Oil leak has started to occur so overhaul. Reliable NTN. It is brand new and there is no particular problem. This review is about item#34726982. With my own failure 6003 was mistakenly ordered as 6203. In case Eventually 6003 ZZ standard clearance in neighborhood Homsen! To There is no open. And it is expensive. (T_T) The number is small letters, but let's read it carefully. I think that I would like to purchase more because it is cheaper and more reliable than genuine parts and the price is also cheap. It is a classic C3 gap. I used it to replace mission bearings. Because it is blocked with oil seal, we made reliable parts because we are worried about repairing in Korean made. I bought it for the same quality bearings at a price of one third of genuine products, but exchanged, the sound clearly sharred disappeared. I think that I will choose here every time. It is cheaper than genuine parts, reliable, it reaches quickly. it is perfect. I am running 2000 kilometers, but for now it does not matter. I think that it is cheap.